Rogue Women Writers: KYLE MILLS GOES ROGUE - Recreating Another Author's Characters - Could You Do It? 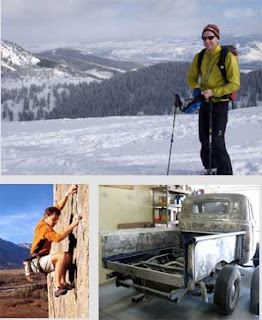 KYLE MILLS GOES ROGUE - Recreating Another Author's Characters - Could You Do It? How does a New York Times Bestselling Author in his own right respond when invited to recreate another well known author's characters? I am delighted to welcome Rogue's guest blogger, Kyle Mills, who will tell us all about it....and there are more details on: www.kylemills.com. Now, let me tell you a bit about Kyle. I never set out to become a book forger. Like my writing career in general, it just happened. 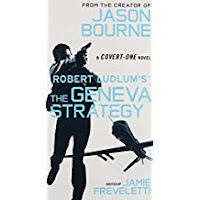 Years ago, I got a call from the estate of Robert Ludlum asking me if I’d like to resurrect a series called Covert One (later deftly handled by rogue Jamie Freveletti ). I initially said no, but I couldn’t fully shake the idea. After ten books of my own, writing in someone else’s voice might be interesting. And it was. In truth, though, the Ludlum project turned out to be pretty open ended—more my style than his, built around plots that had been banging around in the back of my mind for years. 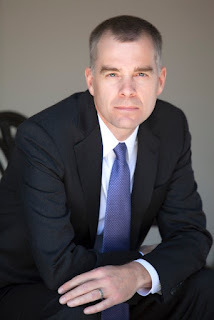 When I was asked to take over the Mitch Rapp series for Vince Flynn, the challenge was very different. Vince passed away at the height of his popularity and had millions of rabid fans looking for the slightest misstep. Even more terrifying, our writing styles were different in almost every way. That’s when I decided I needed to take on the attitude of a forger. I spent months studying every one of the 6,512 pages he’d written, taking almost a hundred and fifty pages of notes on everything from the location of the characters’ scars to how Vince laid out action sequences. I scoured the Internet for videos of Vince discussing his books and dove deep into minutiae, spending endless hours ferreting out details like the ages of secondary characters. and moving his contribution to chapter one. The goal was to make it impossible for fans to differentiate between what was his and what was mine. It was a strange headspace to spend a year in. Normally, I plot out a book and just let the characters do what they want. My style can vary depending on the story line and I rarely write series characters so I don’t have baggage from prior novels. With the Mitch Rapp series, there were endless things to worry about. Was I capturing the soul of the character that fans know so well? Would Mitch really say that? Do that? The longest action scene I’d ever written was probably four pages. Vince’s could go on for forty. Was I sustaining their momentum as well as he had? My characters tend to be a bit ambiguous, neither entirely good nor entirely bad. Vince saw the world in starker terms. Was I capturing that moral clarity? And if all that wasn’t enough, did I get the color of Mitch’s boxer shorts right? Heck, was it even a good idea to approach the project this way? Was I setting myself up for inevitable failure by trying to squelch my own voice and channel Vince’s? The suspense was unbearable in the lead up to the release of the book. When it finally came out, I was uncharacteristically glued to Amazon and my email account, compulsively analyzing fan reactions. Because while I get to be the arbiter of what constitutes a good Kyle Mills novel, they’re the experts on Mitch Rapp. To my great relief, The Survivor was accepted with a level of enthusiasm that was beyond my wildest dreams. Most people thought I’d captured the character they loved just as Vince had and no one ever correctly guessed which pages he wrote. That’s not to say I was perfect. George Guidall, the inestimable audiobook reader, pointed out that I’d included humor that hadn’t existed in the series previously. Some fans thought that I’d made Mitch too harsh but later agreed that his rage continued a trend started by Vince. I even got needled for changing the maiden name of Mitch’s late wife from Rielly to Reilly. That non-standard spelling drove me nuts as a fan and I’d always attributed it to Vince’s dyslexia. In the end, abandoning my own shoes and stepping into Vince’s was a fun and challenging project. But is it sustainable? Probably not. The world changes and thrillers have to keep up. Mitch needs to face new professional and personal challenges, his universe has to generate new threats, and he has to thrill a new generation of young readers picking up the series for the first time. Finally, there’s me. Wrapping myself in Vince’s identity isn’t something I can do forever. The books have slowly shifted to being a mix of our styles. With the upcoming release, Enemy of the State, that transition is complete. Mitch is still the honorable, hard-charging CIA man we all love, action sequences are still edge-of-your-seat, and antagonists are still terrifyingly ruthless. But plots reflect an increasingly complex world, Mitch is working on his personal life, and secondary characters are becoming a bit grayer. Hopefully, it’s an evolution that will combine the best of me and Vince between the same covers......by Kyle Mills. 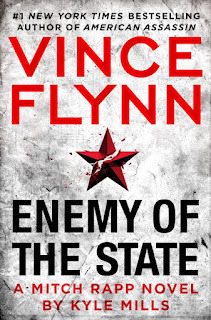 This great new thriller, Enemy of the State will be out September 5, but if you're like me and tend to pre-order a book when you first hear about it, you might keep this one in mind! Thanks, Kyle, for sharing your experiences as a "book forger" with us. I know that besides Jamie Freveletti, another one of my Rogue colleagues, Gayle Lynds, has also accepted the challenge of writing in another author's voice - and did a brilliant job. What about you? Could you do it if asked? Leave a comment and let us know. Now thanks for visiting us here on Rogue Women Writers. I'm fascinated by these wonderful authors who can accept the challenge to step into another writer's shoes--and characters and style. The Robert Parker series are another example of this. Very interesting article. Kyle is himself a remarkable author, so his discussion of writing as himself and as others is particularly riveting. Thank you, Kyle! Kyle, your post is fascinating. As you were describing your method of studying Vince's style--really, of becoming Vince Flynn--I couldn't help but think of an FBI agent or CIA operative creating a living legend. Did your father ever work undercover, or did you teach yourself these tricks? He did a little bit of everything back in those days--from kidnapping investigations to chasing cedar tree thieves through the woods. As you can imagine, to a little boy, it all seemed very romantic! 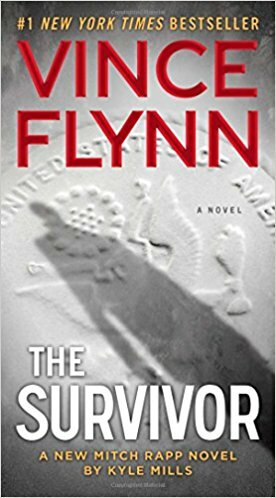 As a huge Vince Flynn fan, I had mixed emotions about another author continuing the Mitch Rapp series. I wanted more, but at the same time I didn't want the stories or characters to change that much. I'm planning on reading the new books, but feel I need to read one or more of Kyles books first. I'm ordering one now. "The world changes and thrillers have to keep up." So true. Love your take on the Mitch Rapp series. 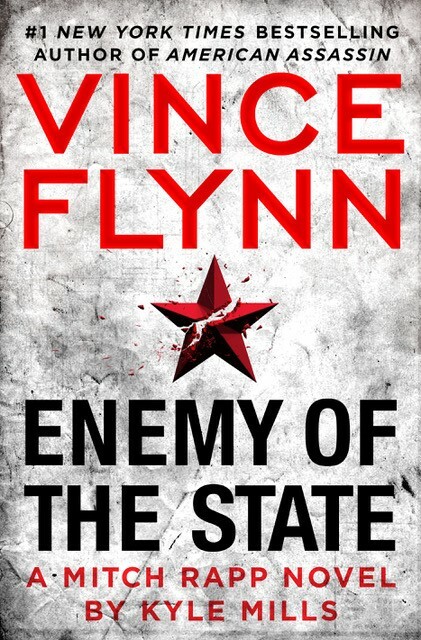 Looking forward to Enemy of the State in September and thanks for joining us here! It was lots of fun. Thanks for having me!